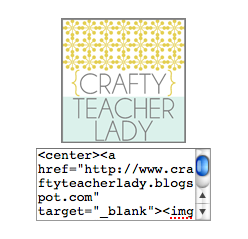 Crafty Teacher Lady: Blog Makeover! For you regular followers, I'm sure you've noticed my blog looks a wee bit different these days...that's because she just got a face lift! In addition to a more 'clean' overall look, I'm hoping readers will find it easier to navigate this blog, starting with the handy navigation bar buttons you see up top! You can read a bit more 'about' me, take a virtual tour of my house, find links to my favorite projects and tutorials, and check out some of my photography skills! I'll be adding more to these pages in the coming weeks as I get more organized! 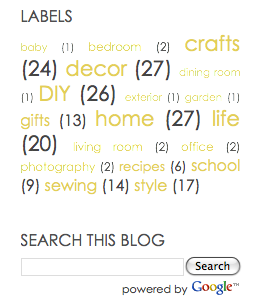 On the side bar you'll notice a 'word cloud' and search feature have been added to make it more convenient for you to find past posts and projects...search away!! 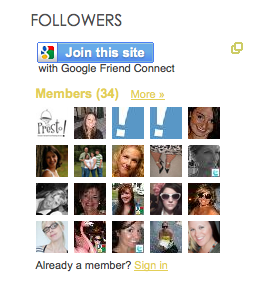 And if you like what you've read here on Crafty Teacher Lady, it's easy to become a follower! You can also find links to my Facebook & Pinterest (slightly addicted to Pinterest, I might add) pages, too! A shout-out to my followers thus far! Thanks for your readership...very much appreciated! This blog provides me a way to share my passions and creative projects and hopefully offer some tips and inspiration along the way, just like all the fabulous blogs out there do for me (I'll be adding a 'favorite blogs' list in the coming weeks, too)! 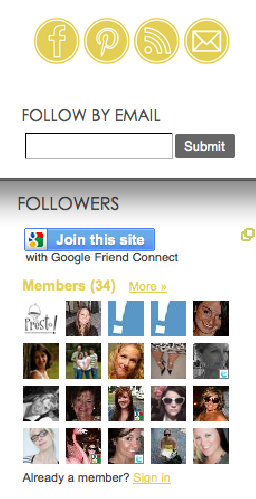 Thanks again to all my readers in blog-land! Don't forget to grab a button from the side bar!